Norfolk Southern, sometimes referred to as NS, is a Norfolk, Virginia based major freight railroad engaged in the rail transportation of raw materials, intermediate products, and finished goods across the Southeast, East, and Midwest. Norfolk Southern also transports overseas freight through several Atlantic and Gulf Coast ports, and across the United States via West Coast partners. 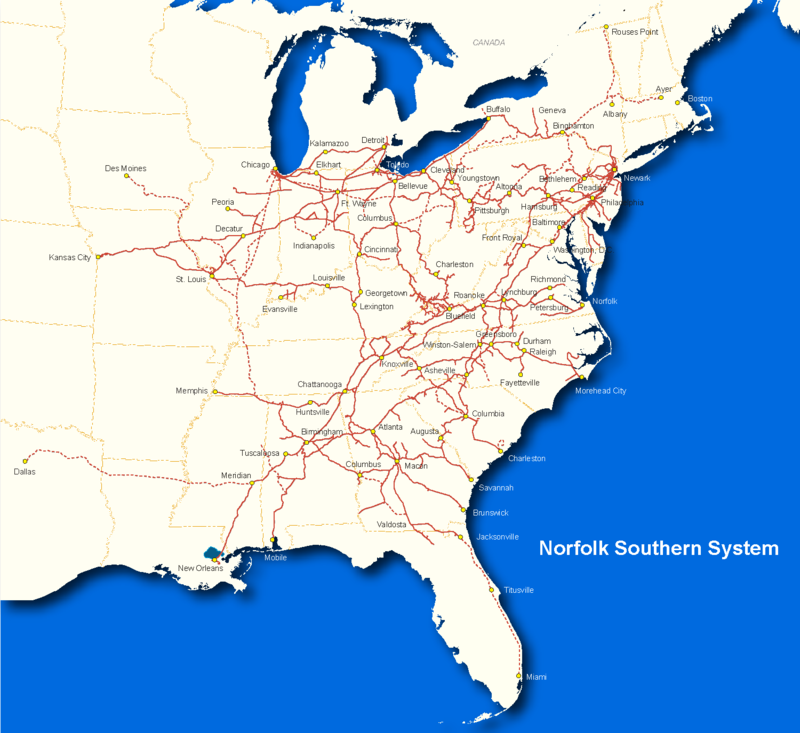 Norfolk Southern provides comprehensive logistics services and offers the most extensive intermodal network in the eastern half of the United States. NS’ railroads operate approximately 20,000 route miles in 22 states and the District of Columbia. The system’s line reaches many individual industries, electric generating facilities, mines (in western Virginia, eastern Kentucky, southern and northern West Virginia, and western Pennsylvania), distribution centers, transload facilities, and other businesses located in smaller communities in its service area.